When I talked to Tom Lawlor recently, he remembered his WWE tryout well over a decade ago. He said that he didn't hear anything back from WWE back then until Gerald Brisco finally contacted him and said that WWE wanted him to work on his character. He would appear in Ring of Honor several years later, but ultimately had to stop because UFC requested that he sever ties after an incorrect report that he was about to sign with the company. I asked Lawlor who that he's been in the ring with who could hang outside of wrestling, and he pointed out "Hot Sauce" Tracy Williams, Jonathan Gresham, Davey Boy Smith Jr., Julian Whyte as possibilities. He says that Eddie Kingston called him out to train with him once, but didn't show up when they'd scheduled something. Lawlor competes on this weekend's Golden Boy MMA card in the co-main event underneath Chuck Liddell vs. Tito Ortiz. Fightful's Andrew Thompson spoke to Sammy Guevara, who is all over the place these days. Guevara spoke about the positivity associated with working National Wrestling Alliance's 70th Anniversary show because of the history of the brand. He also put over working with Fenix, Shane Strickland and ACH, but said at this summer's TripleMania, he was particularly excited to work with Australian Suicide. Even though he won the AAA Cruiserweight Title at the event, he was already looking for what was next. According to Guevara himself, he's hoping to end up working for New Japan Pro Wrestling in next year's Best of the Super Juniors tournament. I spoke to Triple H after NXT Takeover: WarGames as a part of the media call and asked about a couple of injuries going in and coming out of the show. Undisputed Era member Bobby Fish was helped off by officials after the main event match. He told me that Fish had "a moment" where he thought he was hurt that often happens psychologically when you're working to come back from an injury. This was only Fish's third match back since injury, but has been cleared for over a month. He says that he thought Fish took his first big shot on that knee and psyched himself out. I also asked Pete Dunne, who was wrestling in his first match since September. Dunne had broken a bone in his foot a while back, but had kept working on it. When he got it checked out, he was told that he would have to stay off of it for several weeks if he wanted it to heal up properly. It didn't bother him coming into the match or going out of it. As of an hour after the show, Triple H hadn't heard of any injuries from NXT Takeover: WarGames. At about 8:20 Eastern on Monday, I was contacted and told that Raw's script had just been finalized and be distributed, which is why they had a largely pointless elimination tag team match that was mostly void of eliminations. This doesn't happen very often, despite the jokes otherwise. WWE has also been training a plethora of producers and people to time out the show since June, so it was a logistical nightmare for them, too. In case you were wondering, we were in formed that in fact Drake Maverick's piss at WWE Survivor Series was working piss. This, of course, instead of shootin' piss. Speaking of piss, I'm told that several WWE wrestlers were drug tested last week at TV. The WWE security guard that you may have seen tackle Enzo Amore at Survivor Series' name is Lisa, and is the same woman who prevented Rob Gronkowski from hopping the guard rail at WrestleMania 33. I heard from a lot of WWE wrestlers about her being a popular face backstage after yanking Enzo off his chair and ejecting him. I've been told that Lisa is well liked backstage and a sweet person, but tough as nails. One wrestler joked that when she ejected Enzo and took him through the backstage area that "it was the closest to the locker room he'd been since before he got kicked out of it." Other wrestlers were in group chats sending Lisa memes. Another WWE talent said that Enzo Amore is a "living gimmick," and didn't mean it in a complimentary manner. I followed up on Enzo Amore claiming he was kicked out of the WWE locker room for punching another wrestler in the face, which was quickly confirmed but with far different details. Enzo was being chewed out (which happened numerous times) for doing things he shouldn't have been in the locker room, and punched the unnamed wrestler in what multiple talent told me was a "sucker punch." Another wrestler said that anyone who could really stand Enzo for any extended period of time was gone from the company, but also didn't give any names. With the exception of the "Final Deletion" screener that was sent out, I had the most wrestlers contact me about Enzo related things this week than perhaps any other story. 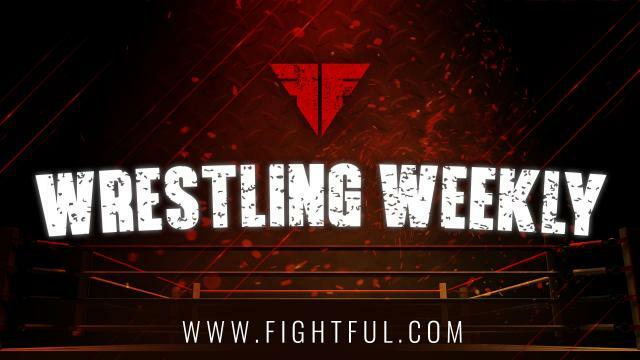 I published a report on Monday morning that I had been hinting at for a while on Fightful Podcasts about several WWE Superstars looking for some substantial changes to their contracts. In light of TV deals, Saudi Arabia, and other changes, along with declining house show business, many are looking at changes. According to two sources, AJ Styles is one of those, as he's spent a lot of time away from his family over the past year in particular. Fightful was told that he's looking for a deal much like Randy Orton's, which calls for him to make TV and pay-per-view dates, and a limited house show schedule. One of the two sources I spoke with say that Styles was very open to losing the WWE Championship because of how much his schedule picked up once he won it. That same source indicated that Big E could be close to signing a five-year deal with WWE soon as well. WWE has been signing talent to five-year deals with much higher frequency of late, with Owens reaching one earlier this year.